Steam sterilization is a simple but highly effective decontamination method. Under this method, products will be exposed to saturated steam at high temperatures from approximately 121°C to 134°C. That’s how sterilization is achieved. 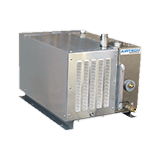 At Airtech Vacuum Incorporated, we carry the latest vacuum pumps for the steam sterilization industry. Let’s find out more! AAMI defines sterilization as the process of destroying microbial life, such as bacterial spores, in order to achieve an acceptable level of sterility assurance. The pharmaceutical, food, healthcare, and medical industries heavily rely on sterilization processing for a wide range of their products. Today, sterilization can be achieved by exposing a product to a reactive condition or agent including steam, irradiation, gas plasma, high temperatures, Hydrogen Peroxide, and more. Each method offers their own set of benefits but when finding the perfect balance between product and environmental impact, efficacy, and cost, one of the prominent methods is steam sterilization. This method utilizes high temperature steam to destroy unwanted organisms. The steam will penetrate and transfer heat to the organism quickly and much more efficiently than dry air. When steam sterilization is the chosen method, the atmospheric air must be evacuated before starting the steaming process because it may cause inefficient heat transfer. After taking the barrier away, you can then efficiently convey the heat at high temperatures to destroy and rupture cell membranes of those unwanted elements. When it comes to steam sterilization, the typical vacuum pump used for the process is a liquid ring vacuum pump. You can use one with or without an inlet condenser. Airtech has been designing and manufacturing these systems for decades. Our products enable you to meet rigorous pumpdown times for steam evacuation, minimize waste water, and more. Why Choose Airtech Vacuum Incorporated For Steam Sterilization? Airtech Vacuum Incorporated was founded in 1982 and we manufacture a wide range of vacuum technologies like oil-free vacuum pumps, oil-flooded rotary vane vacuum pumps, and more. With our dedicated team of workers, each industry receives unparalleled technology that meets their needs. Our vacuum pumps for the steam sterilization industry are of top-notch quality and are easy to install and operate. When you work with us for your steam sterilization needs, you can enjoy complete peace of mind knowing that we are also ISO9001-2008, UL-, CE-, RoHS-, and CSA-certified. Our knowledgeable engineers are trained to make sure that we can produce the best pressure-based and vacuum technologies that will suit varying situations. They perform their work by analyzing every situation in detail. We also continually strive to ensure all orders are handled with utmost care. Airtech takes pride in our work and we always guarantee satisfaction to our customers with the most competitive prices we offer. This is an assurance of a one-of-a-kind shopping experience with us. Start browsing through our inventory today and source for top-notch steam sterilization vacuum pumps with exceptional ease!